Get boyfriend material right from the start with this classic flannel button-up style. 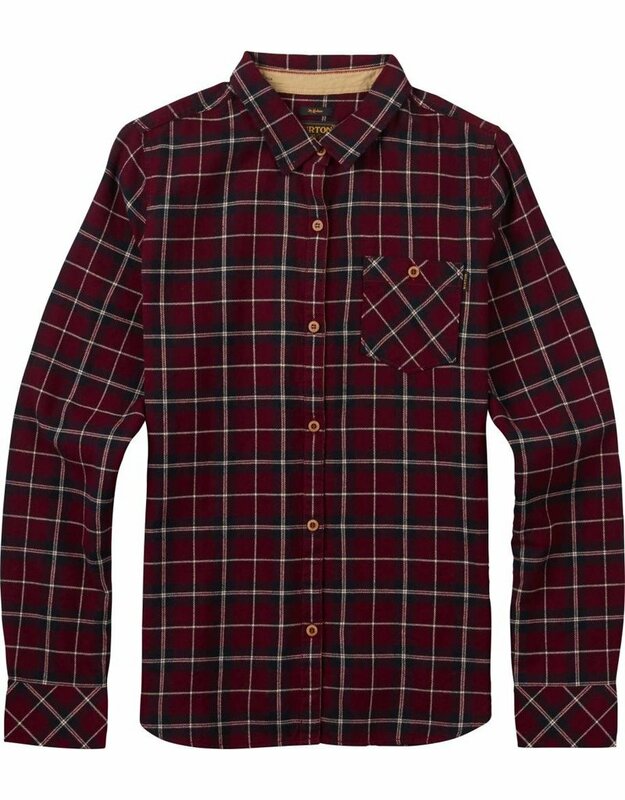 More flattering than your boyfriend’s flannel and softer than his scruffy face, the women’s Burton Grace Long Sleeve Woven has all the shirt-stealing qualities you desire in a men’s shirt, but fitted for your feminine aesthetics. Offered with the comfort of 100% cotton, its true-to-size classic fit, button-up front, and chest pocket, give you everything you need without having to dip into his dirty laundry.